11 ISS visited three regions of Japan, traveling from Arimatsu and Nagoya in the Chūbu region to the capital city of Tōkyō in the Kanto region to Yonezawa and Yamagata in the Tōhoku region, with additional pre-symposium tours to Kyōto and the Setouchi inland sea. The symposium lasted two weeks from 27 June – 10 July 2018, with participants arriving or departing in each of the three regions. Attending the 11 ISS were 162 international participants from 17 countries including USA, Australia, China, Sweden, Chile, India, Taiwan, Canada, and Hong Kong. They were joined by 136 domestic participants in Nagoya, and more in Tōkyō and Yamagata. Plenary sessions in Nagoya and Yamagata featured 25 distinguished artists and scholars including master dyer Sachio Yoshioka, Camille Ann Brewer (The GWU Museum & The Textile Museum), and Reiko Sudo (NUNO). 21 different workshops in Arimatsu, Yonezawa, and Yamagata were taught by skilled Japanese artisans and focused on traditional handcrafts including natural dyeing, bast fiber making, shibori techniques, and sashiko stitching. A special chance to join faculty and students of TUAD for a safflower harvest and beni-mochi making workshop highlighted Yamagata's safflower traditions. 7 additional pre-symposium workshops in Arimatsu featured renowned international instructors teaching dyeing, stitching, and folding techniques for contemporary practice. In total, 11 ISS enjoyed 20 exhibitions specially arranged for the symposium, including a historical survey of regional shibori techniques displayed at Nagoya Castle, and a collection of exhibitions of regional Yamagata traditions at the Yamagata Bunshōkan. Calls for Entry included three exhibitions, presentation sessions, and pop-up shops. The exhibitions included Kimono Inspiration Challenge: Yukata from Abroad, where yukata by 11 artists from 7 countries will go into the permanent collection of the Arimatsu-Narumi Shibori Kaikan; Shibori Mini, where miniature works by 30 artists from 10 countries were invited to exhibit again with Japan's Shibori Community; and New Beat International Student Competition with 10 students representing 9 institutions from 6 countries. Attendees of the sessions in Tōkyō enjoyed fast-paced mini presentations on globally relevant topics by 15 people from 10 countries, and pop-up shops in Nagoya and Yamagata represented 8 artists and organizations from 5 countries in addition to local Japanese brands. Did you attend 11 ISS? The symposium gathered attention from Japanese and international press. View videos, newspaper articles, blogs from attendees, and more on the symposium's publicity page. The official catalog for three major 11 ISS exhibitions in Nagoya - "History of Japanese Shibori," "Nagoya Castle and Arimatsu-Narumi Shibori," and "Arashi Shibori," features a rare survey of historical Japanese shibori examples. Japanese text; translation in progress, to be released digitally. This catalog for the Shibori: Fusion and Diffusion exhibition at Tama Art University Museum showcases works by celebrated international artists. This catalog for the Shibori Mini exhibition showcases 30 "mini” works by international artists from 10 countries. Prompted to demonstrate innovative methods of textile manipulation confined to a 30x30x30cm (roughly 12”x12”x12”) space, these artists evoked material "memory" to illustrate the myriad transformative possibilities of shibori. This catalog for the New Beat International Student Competition features exceptional student works from all over Japan and 6 additional countries. Prompted to present innovative 2D and 3D art inspired by material manipulation and cutting-edge technical application, students in the New Beat exhibition explored new directions for shibori, pushing the boundaries of contemporary art further into the future. Founded in 1992 during the first ISS held in Nagoya, Japan, the World Shibori Network (WSN) now holds a symposium every few years in different countries across the globe. Sign up for our mailing list to receive updates about when and where the ISS will appear next! The symposium’s theme and logo 紅花・藍・絞 (Safflower, Indigo, Shibori) was calligraphed by the late Junichi Arai. Called a genius in the world of textile design by Jack Lenor Larsen, Junichi Arai revolutionized ways to design fibers and to interpret and build weave structures for unique textiles using computers. He was a master of incorporating both traditional and technological finishing processes. We were honored to have received his last piece of calligraphy before his passing in September 2017, and saluted his memory through its use to promote this international gathering of artists. Local industries create foundations for the community and environment upon which we build textile practices. Emphasizing sustainability, regional history, and people and their skills, we showcased the enduring legacy of artisans and craftspeople who support traditions and inspire future generations. Global economies and trade throughout history have heavily influenced the spread of craft practices, the development of taste and aesthetic, and the innovation of new techniques. We investigated how world regions have shaped each other's textile arts through trade. The tension between technology and tradition has long influenced textile arts. We explored the ways in which evolving technology and textile traditions have interacted, from the development of the Chinese drawloom to Issey Miyake’s design of kinetic fashions to the creation of NASA's solar sails. 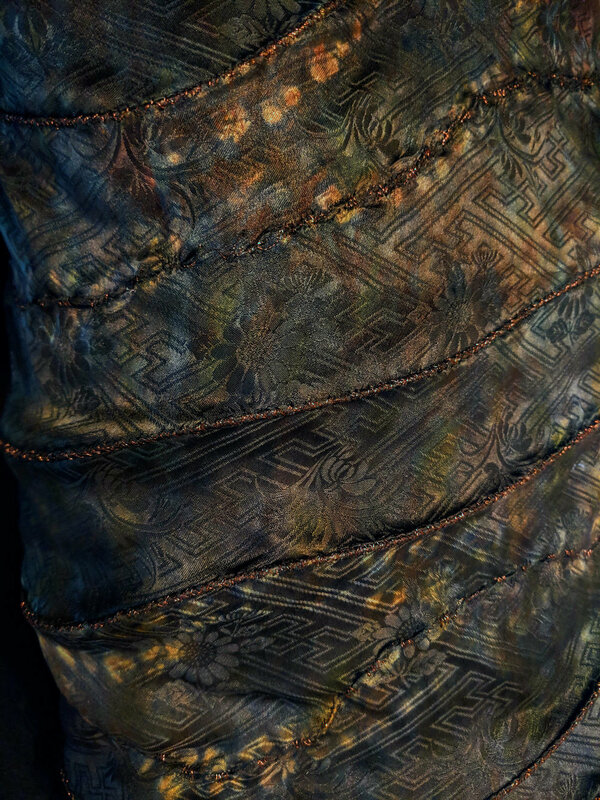 A core identifier of shibori is the transformative process from 2D to 3D which leaves enduring “memories” on cloth. We emphasized the ways in which textile artists transform materials, through folding, fulling, dyeing, coating, stitching, and other creative methods – innovative, imaginative, artistic, and practical. 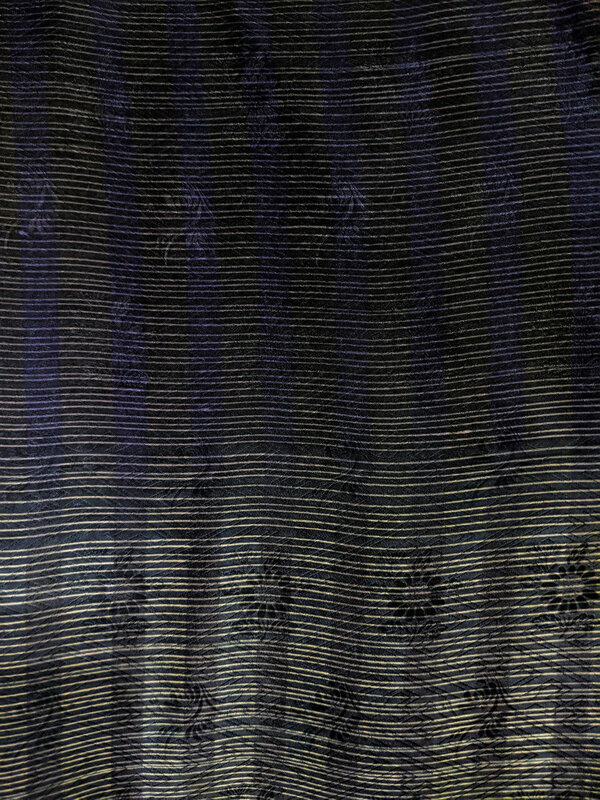 Located along the historic old Tōkaidō route, Nagoya is home to Arimatsu-Narumi, a neighborhood with over 400 years of history practicing traditional Japanese shibori and indigo dyeing. The modern capital of Japan, Tōkyō's dense cosmopolitan metropolis fosters technological innovation and hosts some of the country's top fashion designers and contemporary artists. Situated in the northeastern Tōhoku region famed for its folk traditions and natural beauty, Yonezawa and Yamagata boast fields of beni-bana safflower ready for a summer harvest. Many thanks to all of the great committee members, organizers, volunteers and sponsors who made the 11th International Shibori Symposium such a success.